With AltMove mouse manager you can move unmovable windows and controls, resize unresizable windows and controls, hide any window (to system tray or completely) and restore it. You can also change the transparency of a window, assign key and mouse combinations to the standard program menus, use the mouse to run a program or open a document. Features: Move and resize windows and/or controls. Change transparency. Hide and show windows. 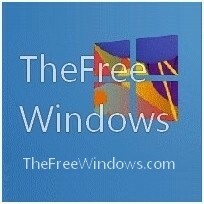 Minimize and Maximize/Restore windows. Run programs. Magnify content of windows with ability to work while the magnifier is opened. Emulate keystrokes by mouse. Emulate items of (standard Windows) menus by mouse. Take screenshots by clicking or by selecting an area. * Check also Window Manipulator, especially if you are interested in easier drag & drop of windows.